We turned our back on the cucumber patch for a few days and this is what happened. Help! What to do with so many over-sized cucumbers? In the past I’ve pickled them, stir-fried them, sampled Korean side dishes and created other Asian-inspired salads. This week I tried an uncooked cucumber soup which was very refreshing: just peeled and de-seeded cucumbers, salted and drained, whizzed until velvety smooth with some Greek yoghurt, crushed garlic, salt and pepper and loads of herbs like tarragon, parsley and chervil. I served it chilled with more finely diced cucumber, tomato, spring onion and mint to spoon on top. It really hit the spot in the heatwave. Today’s salad owes more to eastern Europe and is particularly good with grilled and baked fish (especially oily fish) or lamb kebabs. Or heck, fish kebabs. It’s a simple recipe but that’s good, I think. I like food that’s not messed about with too much, where the ingredients shine through. You can add chopped fresh dill if you have it but please don’t omit the dill seeds. It hasn’t made much of a dent in our cucumber mountain though. I rather fancy the cucumber sorbet suggested by my friend Steph Clubb but I’d love to know what you’d do with a glut. Put the peeled and sliced cucumbers and onions in a sieve, sprinkle with 1/2 tbsp salt, and leave to drain over the sink for at least half an hour. Then fold them into a clean tea towel and dry thoroughly. In a bowl, mix the remaining ingredients, seasoning to taste. Once the cucumbers and onion are as dry as you can make them, stir them into the yoghurt. 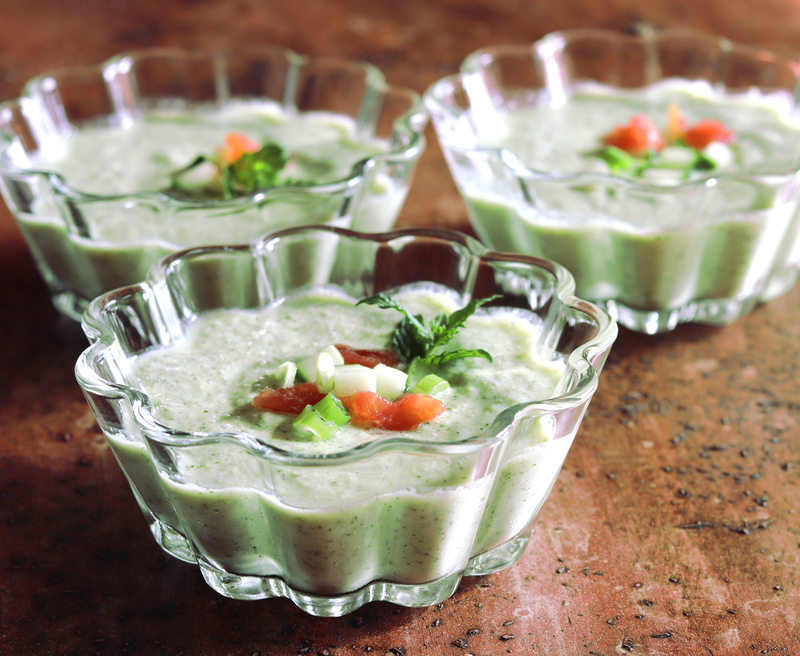 Serve within half an hour of making, otherwise the cucumbers will leach more liquid and water down the dressing. 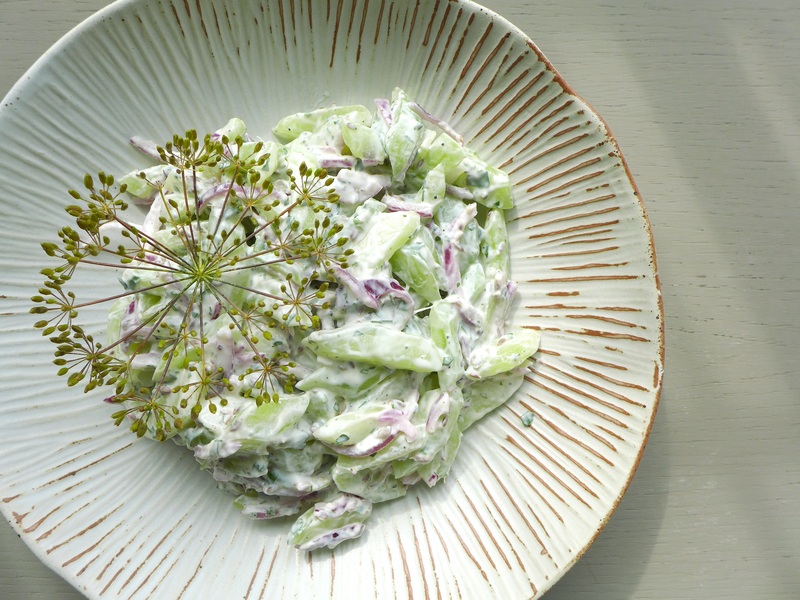 This entry was posted in Vegetables and salads, Vegetarian and tagged cucumber and dill salad, cucumber recipes, cucumber salad, cucumber salad with red onion and dill seeds, cucumber yoghurt salad by Linda Duffin. Bookmark the permalink. Well, I was born in the Eastern Europe you speak of and had more than my fill of such cucumber deliciousness . . . . tho’ the less healthy sour cream, was the usual choice! To me dill, in the form of the herb, is a definite must and makes the dish . . . As for the glut, keep on pickling using any of the numerous recipes . . . .you’ll be pleased as autumn rolls around . . . Your soup sounds wonderful! It’s great to see a crop doing so well, but there is work, too, in using it all, and stress to keep it from going to waste. Good luck! 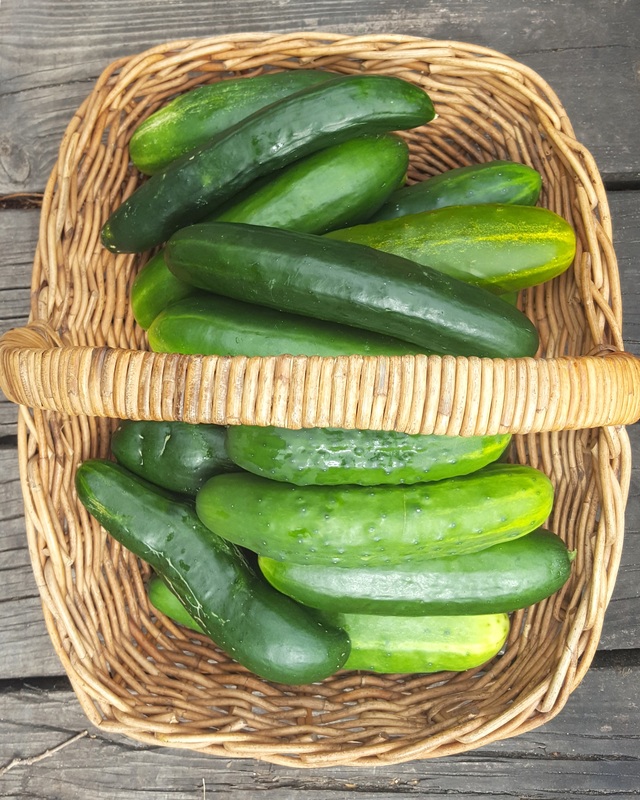 I eat cucumbers raw with salt, or sliced into sour cream, diced in potato or pasta salad, or pickled. Not very creative solutions for your overflow, I’m afraid. I wish I’d thought to look in Mrs Marshall’s book, I’m an idiot. I made a sorbet which wasn’t a success. Maybe next time! Thanks, Mimi, that’s very kind. That’s very kind, thank you, and thanks for the follow. Sounds refreshing, Linda! I’m a big fan of cucumbers, especially in the summer.